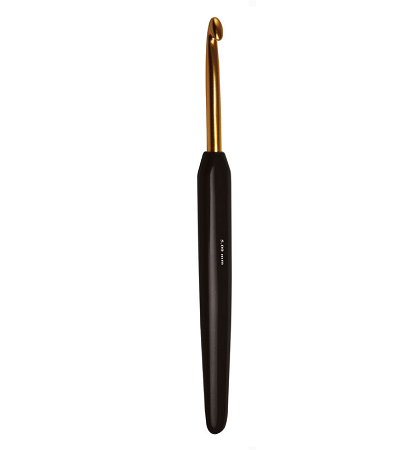 Knitter's Pride Soft Touch crochet hooks feature an ergonomically designed handle that makes for hours of comfortable crocheting. Hooks are made of aluminum and are available in either gold or silver tone. I found these hooks to be very gentle on my hands as opposed to aluminum hooks or wooden round hooks. I have rheumatoid arthritis and I have trouble crocheting but these books make it a lot easier on my hands. They really are a soft touch hook. I especially appreciate all of the sizes that they are available in.